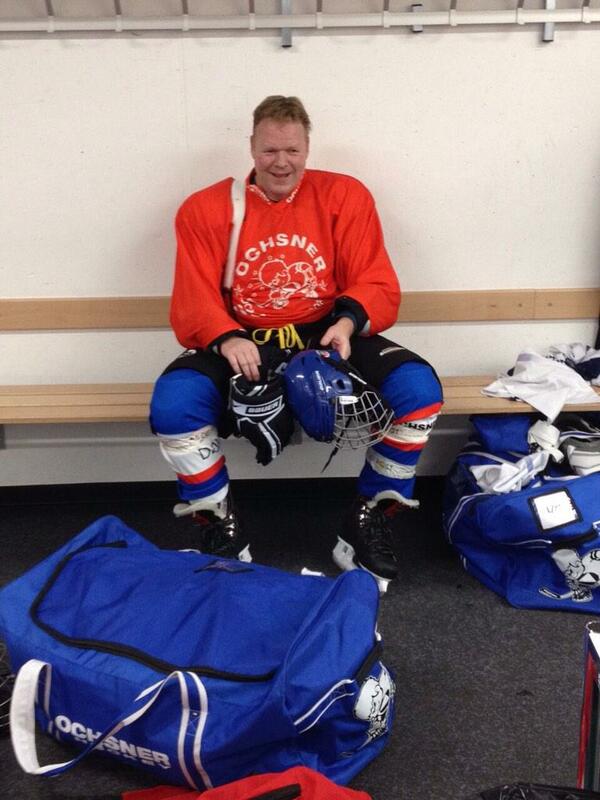 Ronald Koeman took his side to have a go at ice hockey during their mid-season break to Switzerland. The Southampton players padded up and headed out onto the rink for a bit of team bonding, as the club took time out from the busy Premier League season. The team are without a game this weekend due to being out of the FA Cup, so have took the opportunity to head to the snow climes of Davos. Admittedly, the Southampton players were unable to transfer their footballing skills onto the rink with falling over the order of the day. Manager Koeman tweeted his enjoyment, he said: "Fantastic experience! Shattered." But don't worry Saints fans, all the players came off the ice unscathed.